An Eduardo Perez tweet yesterday asked "Who do you guys believe is the most underrated player in the majors?" This discussion is overrated and needs a fresh take. Without showing any boring math, we feel the need to provide some framework to avoid the usual ambiguity. Of course, there is no statistic for, um, ratedness, but we can see fantasy baseball ownership percentages on multiple sites. We can check google news articles, twitter streams, and tumblrs. Most of all, we feel that our baseball obsession gives us a good feel of who's getting media attention, who isn't getting as much, and how each team's fan base generally feels about everyone. Even better, we want to hear who you think is underrated. Please leave comments below or email me at baguilera [at] gmail. I'd absolutely love to hear who you think is underrated because you're probably right! Unless Wilson Ramos continues to hit like a young Mike Piazza, Logan Morrison is our choice for most underrated player in the group. Sean Marshall is one of the best left handed relief pitchers in all of baseball. It's boring to talk about, so we don't read much about middle relievers unless they have a complete meltdown. Marshall is getting ready for a free agent pay day in the neighborhood of 3yrs and 20 million dollars. Until then, he'll probably remain under the radar. All five of these guys could have standout season this year. Josh Collmenter has numerous challenges to becoming a household name, but we have a feeling that we're on a Sergio Romo bandwagon that has way too many open seats. I had great seats in section 117B of Yankee Stadium last Tuesday night, and Eric Chavez made a couple of spectacular plays. If people recognize that Ricky Romero is a bonafide Ace, then perhaps I'm off base here. Joel Peralta is a good undervalued bet, gotta be better than Kyle Farnsworth. Nothing trumps the fact that Jed Lowrie looks like the best Shortstop in the American League, but he's in a time share with Marco Scutaro. A lot of fans have cried for Asdrubal Cabrera, making him immediately not underrated. Have you ever heard of Vinnie Pestano or Al Alburquerque? Their statistics and names are epic. 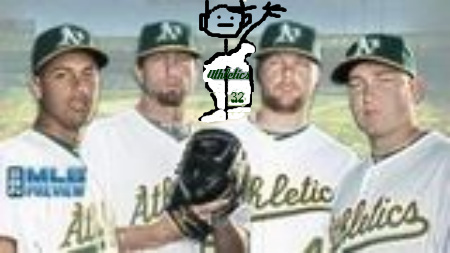 Take a look at Brandon McCarthy's Twitter image, and see if he's been overlooked at all this year. Peter Bourjos is also well worth evaluating if you're a rotisserie baseball manager. So, who do you think is the most underrated player in baseball? Is it someone we didn't mention, yet? 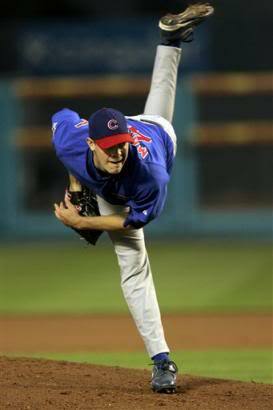 If forced to pick one player, I'd probably say the Cubs' Sean Marshall. Rolling Stone's "Happy 70th, Bob!"